Home / Blog / Home inclusions: are they worth it? Home inclusions: are they worth it? The decision to spend your new home budget with a builder who offers standard level inclusions, or to go with one who offers premium inclusions, can be tricky. Very often there’s little transparency about what is or isn’t included in the price. So it’s no surprise at GO Homes that we are regularly asked whether it’s worth paying the price for inclusions. Our specialist team can help you look at this from several angles, beginning with clear and transparent costs. 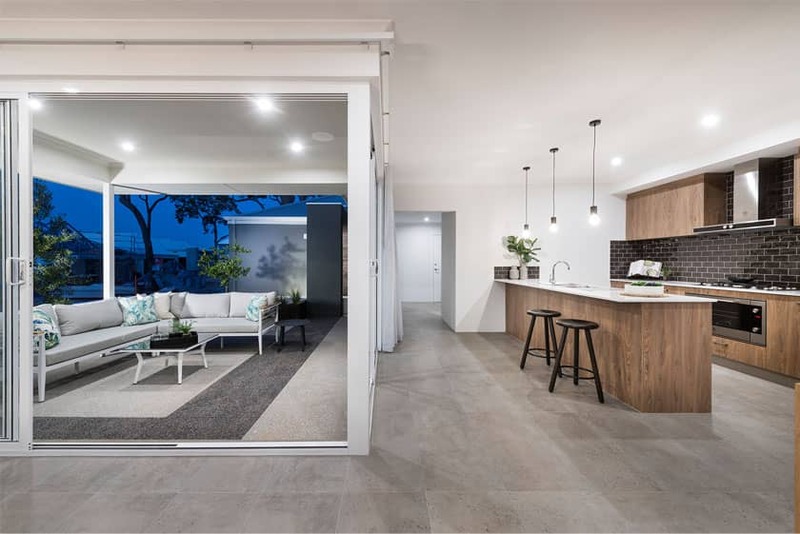 Because all our home designs come with an exceptional level of inclusions built into the price upfront, you can be reassured there will be no unexpected costly surprises down the track. You know exactly what you are getting, what you are paying for, and any additional upgrades or inclusions are entirely your choice. It’s our way of delivering affordable luxury to new homebuyers in both the Perth and WA’s South West regions. 1. How will this improve my lifestyle? Can you put a price on living the best lifestyle you’ve worked hard to achieve? Your home is one of the biggest investments you’ll make, so you don’t want to compromise on the aspects you’ve always looked forward to enjoying, or the elements of a home that will enhance your living each and every day. 2. Will these inclusions provide longevity and peace of mind? Knowing you have top quality home inclusions that are backed, guaranteed and supported by premium suppliers, delivers total peace of mind. Our homes are finished with the finesse of some of the world’s top brands. The lifetime value is always there in fixtures that are stylish, durable and designed to last. 3. How will these inclusions increase the value of my home? A quality build with premium inclusions that stand the test of time will always return a better resale price. Buyers are savvy, and seek out the true value that second-rate features don’t offer. Fortunately, our homes never present this problem, as all inclusions are premium from the outset. For example, because the kitchen is the heart of the home, Go Homes gives you stunning Smeg stainless steel appliances, together with Essastone benchtops, soft closing drawers and modern tapware. You’ll be the envy of your neighbours with a choice of six impressive elevations. High ceilings will give your living areas a luxurious and spacious feel. We want to ensure you are comfortable all year round with ducted air-con throughout your home, while also making sure your home is energy efficient with our 6 star energy rating. Take a look at the full list of our Ultimate Inclusions that are clearly and transparently included in your home’s price. So go ahead and enjoy the real, lasting value. Visit our stunning display homes in the Perth metro and South West regions to experience the quality for yourself. And our GO Homes team members are always on hand to talk to you about your home dreams, so get in touch today. Where you’re going to live is probably on of the most important choices you’ll make when it comes to building your first home. 5 simple ways to create a cosy winter home. From colours to layers, read these quick and easy tips to make the most out of your Winter home. Previous article Building a home even your pets will love. Next article With Smeg appliances, your kitchen will look as good as it cooks. The Scullery – Is It Here To Stay? Sculleries are no longer only deemed for the rich and famous... in fact, they are well within reach of today's Perth homebuyers. Our staff pick - with the summer heat in full force, we're loving life outdoors, and The Roswell offers an outdoor space that has is all!